In this quiet, yet foreboding scene from Cities of the Plain, the final installment of Cormac McCarthy's "Border Trilogy", a young woman prepares to steal away to meet her lover. That no one discover her intention, she places the candle so as to conceal its flicker, dressing in the semi-dark. Their assignation is set for a day marked on the historic calendar of western Christianity as Quinquagesima (50 days) Sunday. It is the Sunday before Ash Wednesday, the beginning of Lent. From antiquity the church has assigned an episode from the life of Christ as recorded in Luke chapter 18 to be read on that day. Here, in so many words, Jesus tells his disciples that it's time for his work to end; he will go to Jerusalem, confront evil and be killed. For their part, the disciples fail to grasp his meaning, though the fault it would seem was not entirely their own. Luke writes, "This saying was hidden from them." Throughout his Border Trilogy, McCarthy has examined the nature of things which are unable to ever be fully known, things hidden from view. Something like what the poet Mary Oliver described as "not fact, this is the other part of knowing something, when there is no proof, but neither is there any way toward disbelief." Nearly every episode of the trilogy bears the mark of those things which, despite our inability to put a name to them or our best failed attempts at measuring them, possess an ancient power. "Immanence" is what the ancients came to call it: the thought that a thing can somehow be real in the world and yet transcend that world, evading any method yet devised to grasp it. If the record is to be believed, the idea has been troubling the great minds of every progressive culture for at least five millennia. From Abraham through Hesiod and Homer, first-century Buddhist holy men, through the ante-Nicene Fathers up through Spinoza and finding its way into the lyrics of Tom Waits. Things which are even if you can't quite put a finger on them, and your best guesses at how they are engineered are just that - guesses. Despite the economy of their telling, in these stories Cormac McCarthy captures the spirit of this mystic inquiry with an eloquence rarely witnessed in American letters. "A man was coming down the road driving a donkey piled high with firewood. In the distance the churchbells had begun. The man smiled at him a sly smile. As if they knew a secret between them, these two. Something of age and youth and their claims and the justice of those claims. And of the claims upon them. The world past, the world to come. Their common transiencies. Above all a knowing deep in the bone that beauty and loss are one." Just prior to this passage in Cities of the Plain, John Grady has left a Mexican bordello where he has - he is convinced - found love. It is characteristic of the Border Trilogy that the players cross boundaries both geographic and mythic, leading to encounters both real and transcendent of reality. With dramatic irony as its mechanism, transgression, by definition, is the result: borders crossed that must otherwise remain inviolate. 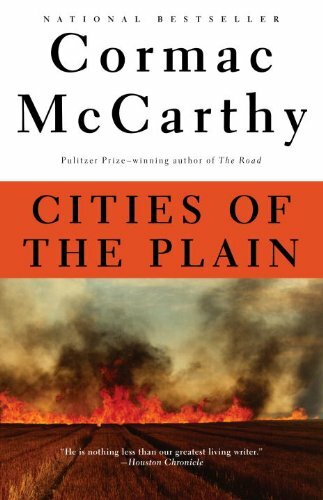 McCarthy's view in Cities of the Plain is an unapologetic and steadily backward gaze at a world that once was, though perhaps, in reality, a world that never was and could never be. The novel is surely his most romantic work, inhabited by a protagonist resolved to fulfill a calling, quixotic as it may be. What calling? Beauty and its redemption from that which would corrupt it into something unrecognizable. John Grady Cole's quest is spelled out relatively early in the story, and there is the temptation to assume that this reliably disciplined writer is going soft. In other hands, surely, the plot would run the risk of devolving into unbearable melodrama. McCarthy, however, allows the lot to lie where it falls, and the wheel of his characteristically dark-hearted mill grinds out its result with the material it's fed. And so John Grady sets out, determined to free a Mexican prostitute - Magdalena, by name - take her to wife, and set up home in the Jarilla hills of west Texas. His heroism, in a decidedly Greek cast, is marked by the sense that perishing in battle for a noble cause is a fate preferable to that of having one's convictions called into question after death. Hamlet's admonition to Horatio - "more things in heaven and earth than are dreamt of in your philosophy" - echoes here, as McCarthy balances masterfully the slow burn of a Texas ranch hand attending to the mundane in scenes that are otherwise saturated with the tension that comes from understanding that more vital matters await. Indeed, once John Grady's rescue plan has been hatched the intervening episodes transition into that inevitable ticking clock of subject-verb-object prose. Sentence after sentence the likes of "he swipes the plate with the last of the tortilla and eats it and takes his breakfast dishes to the sink". Time passes audibly. The consequence of the cowboy's almost blunted purpose is palpable. McCarthy stokes the reader's urge to jump up from his chair in frustration and shout at the book "go get the girl already", though the suspicion is strong - if not the knowledge - of where that will lead. And so we are left with the quite intentional and exegetically crisp imagery (if McCarthy had opted for the priesthood rather than the writing chair he would have made for one fine homelitician) of Quinquagesima Sunday - the final preparation stage of the hell about to be unleashed on both the evil and the just, of lambs led to slaughter. 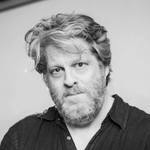 McCarthy, true to form, has crafted a deeply subversive novel, one defiant of genre. Though peopled with cowpokes and redolent of their philosophy steeped in the romantic mythopoesis of the American West, this final installment of the Border Trilogy is no mere western, flipping the mechanism of the typical "cowboy romance" spurs over Stetson. And yet it is nothing if not of the West, but a West where the ride off into the sunset is heavy with shadow, beset by loss. The reader is left to ponder whether quarter exists for devotion so pure that it might forestall the unleashing of the cosmos' dark energy and the fire set to fall on the cities of the plain. The urge to ask why the world is this way is nearly as old as the world itself. McCarthy's encouragement here comes in the dogged perseverance that marks those who inhabit his imagined worlds. In Cities of the Plain the desire for order, for those things that represent order, and the hope that the outlier might overcome the forces aligned against him are strong in these characters, and yet the writing never lapses into sentimentality. The naturalism of McCarthy's prose provides us w ith characters of a hard reality, men familiar with suffering, women acquainted with grief. Characters caught in the insularity of an impersonal universe, and a persistent, dark night of the soul, but one marked by the whisper of joy and fleeting sparks of light of an ineluctable beauty. There is so much in this universe that evades us. 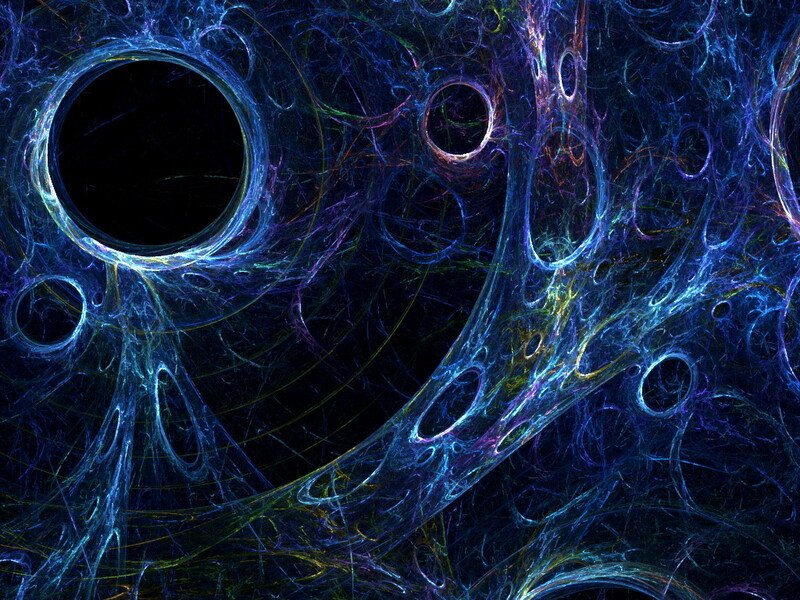 An infinity of matter and energy saturated in dark, and we, candle in hand, fumbling our way. Despite our righteous desire to parse its intention, what that overwhelming dark might conceal will only be known when it is set to be known, set to be revealed. Only a fool would set himself to believe otherwise.